MT3D-USGS, an updated release of MT3DMS and product of collaboration between the US Geological Survey (USGS) and S.S. Papadopulos and Associates, Inc. (SSP&A) is now available for download at http://water.usgs.gov/ogw/mt3d-usgs/. MT3D-USGS includes new transport modeling capabilities that accommodate previously unsupported flow terms calculated by the SFR, LAK, and UZF packages available within MODFLOW-NWT. 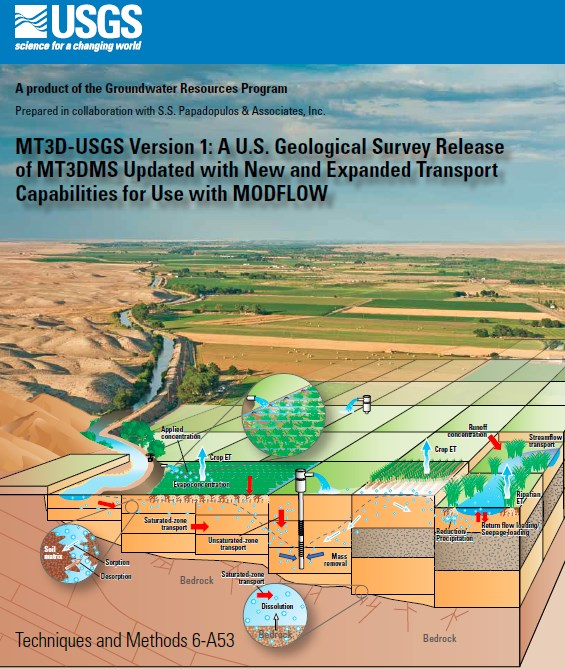 MT3D-USGS is backward-compatible with MT3DMS, yet provides greater flexibility in the simulation of solute transport in both ground and surface water and reactive transport.